Don't be fooled by such doctrines as "Once Saved Always Saved" or "Grace Plus Nothing". They will not get us to heaven! For he saith to Moses, I will have mercy on whom I will have mercy, and I will have compassion on whom I will have compassion (Romans 9:15). But why would we take a chance that He will take mercy on us when He could readily choose one of the other 7.7 billion people who are on the planet, when all we have to do is obey the gospel by obeying Acts 2:38? Now for those of us who actually have been born again, but have decided that "once saved always saved" or "grace plus nothing" is true, meaning that we can have unrepentant sin in our lives and make it to heaven, this is a grave mistake. The page, Repentant Lifestyle, explains this in more detail. Like I said above, Jesus, our Advocate, will need an adequate defense to save us from being cast in with the goats, into the lake of fire (Matthew 25:41) on judgement day. What would He say to the Judge, which in case we might have forgotten, is God who sits on the throne, Jesus Christ (Revelation 5:13). 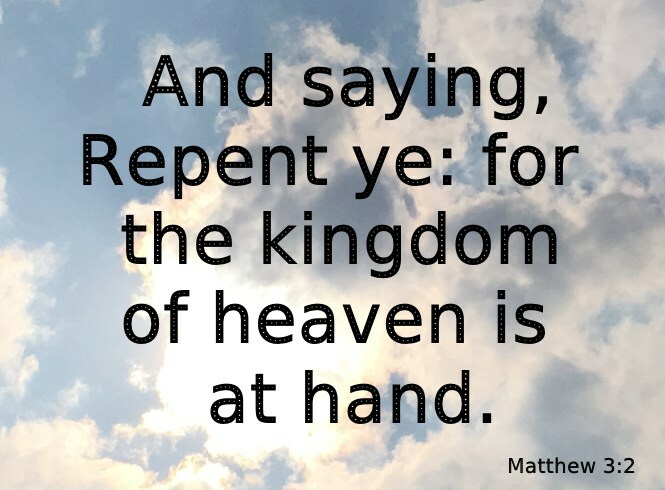 How about He says that "he/she read a book that declared grace plus nothing will get you to heaven" even though Your Word, told them repeatedly that they must repent of their sins for Your kingdom is at hand (Matthew 3:2, 4:17, Mark 1:15). Or how about, "he/she believes John Calvin's thesis that once saved always saved is true even though Calvin's doctrine is only based on a few scriptures totally taken out of context". What, just because Jesus is our advocate, will He lie, can He lie (Numbers 23:19)? Of course, He can't lie! He says that believing false prophets will lead us straight to hell (Matthew 7:15,16,17,18,19) so don't be fooled by them.